January 23, 2019 — Catherine McKenna, Minister of Environment and Climate Change, announced a $5-million investment to build 100 electric vehicle (EV) fast chargers across Quebec. Built by Hydro-Québec with funding from Natural Resources Canada’s Electric Vehicle and Alternative Fuel Infrastructure Deployment Initiative, these chargers will be part of Hydro-Québec’s Electric Circuit — the largest public charging network for electric vehicles in Canada. At the press conference, McKenna insisted that the federal government wants all vehicles sold in Canada to be electric by 2040. She also promised that an EV plan would be unveiled in the upcoming months. Last November, Steven Guilbeault, previously at Équiterre, was nominated to co-chair an advisory committee to recommend ways to accelerate GHG reductions. 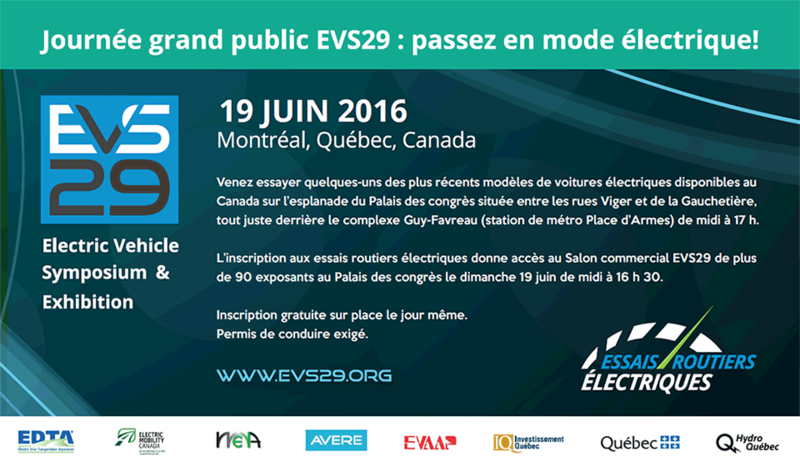 Guilbeault is well aware of the role of electric vehicles and EMC’ demands. After contributing significantly in the government’s ZEV national strategy consultations in 2017 and investing heavily in federal advocacy in 2018, EMC remains optimistic that the federal government will deliver in 2019 a definite strategy that recognizes the important contribution of transportation to GHG emissions.